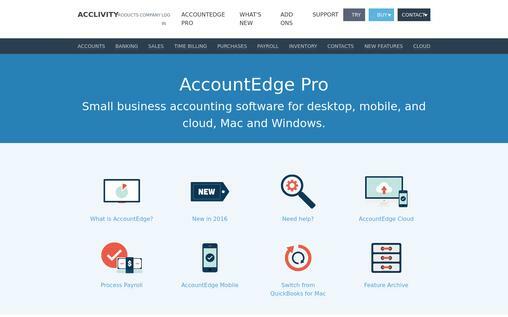 Are you looking for some of the best accounting software? 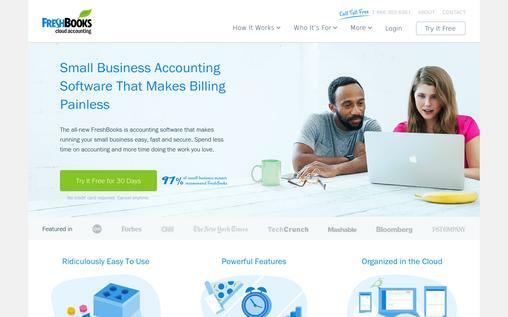 Whether you are a freelancer, sole proprietor or running a small business, you need a good accounting software that is not only affordable and easy-to-use but also time-saving and has time-saving features. A good accounting software can automate your tasks and save a lot of your bookkeeping time by doing automatic entries, invoicing, financial reports, bill payments, expense reports and reconciliations. There are many accounting software that may confuse you. So to make it easier for you here is the list of best accounting software which can easily manage your finances efficiently. Quickbooks provides one of the most popular and affordable accounting software for various types of businesses. It has all the necessary features that a small business requires. You can also customize it with advanced features to fit the growing needs of your business. Its main features include tracking of income and expenses, automatic data backups, reporting, facility to download credit card and Bank transactions, tax-preparation and filing. Simple and easy to start and add information with a user-friendly dashboard where you can get an overview of your financial status right when you log in. Easily connect different Bank accounts and credit cards directly from the dashboard. Quickbooks can automate everything from bill payments and recurring invoices to synchronization of data across Bank and credit card transactions. It offers both chat and phone support along with various resources like a knowledge base, blogs, community, and resource centre. The cheapest plan costs $9.99 per month. It offers a free trial of 30-days. 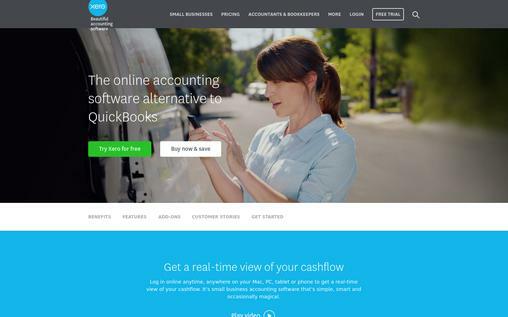 Freshbooks is one of the best accounting software that offers excellent customer service and a robust feature set including time tracking, invoicing, client management, expenses, and light inventory. It is the most scalable software that fits any business from small businesses and freelancers to large enterprises. It comes with a set of time-saving tools at an affordable price. It offers two customizable invoicing templates where you can set recurring invoices, track invoices and email them to clients. The estimates are very simple to create and easy to turn into invoices. FreshBooks is a cloud-based accounting software that can be accessed anytime from anywhere just with an internet connection. The user-friendly interface is easy to navigate and its intuitive functionalities save both time and effort. You can request customers’ reviews after completing work with them. It has an app for android, iPhones, and iPads to do accounting on-the-go. This software has a time-tracking option on every plan. It offers a free 30-day trial. Consist with 5 pricing options starting at $12.95/month. It offers phone and email support along with helpful resources. 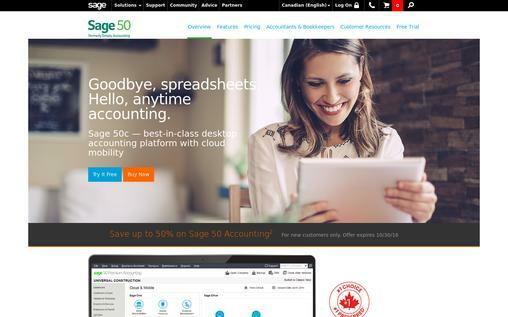 Sage 50 is an accountant’s software that helps you from payroll to accounting to credit card processing. It is good for small and midsize business owners with bookkeeping knowledge. If you want a robust accounting system with lots of customizable option then Sage 50 is a perfect choice. Offers a highly customizable dashboard where you can find all the information at a glance. It provides various reports that are customizable also. With Sage 50 you can enter the quotes and mail them to your clients. You can track and enter bills and orders. It supports time tracking for both vendors and employees. You can create recurring invoices and mail them to the recipients. It provides the flexibility of storing data in the cloud which makes checking your accounts on the go or coordinating your accountant much easier. Offers phone, chat and ticket support. You can use it free for 30-days. 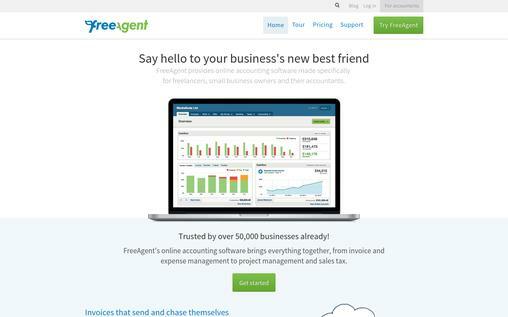 FreeAgent is an online accounting software which is specially made for small business owners and freelancers. This software is very simple to use, even non-accountants can use it easily and it offers a lot of functionality that is fun to use. The automatic invoicing option of FreeAgent is a real time saver. You can set up recurring invoices that can be sent automatically with automatic reminders. You can take a snap of your receipt and upload it to FreeAgent. Connect your bank account and automatically import transactions. It gives you a live preview of your business cash flow. The clean and simple interface is extremely easy to use without getting lost. A provides a great tool for sending quotes to clients. It offers the facility of sales tax reporting and multi-currency invoicing. It offers a free trial period of 30-days. 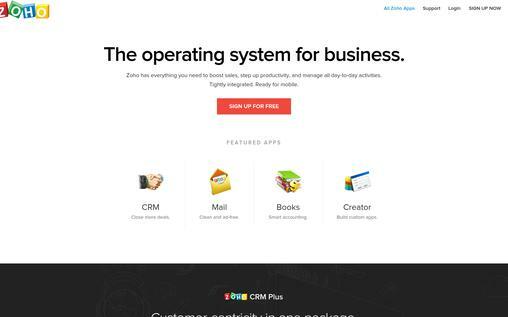 Zoho books are the accounting software designed for really small businesses like sole proprietors, freelancers, consultants and home-based businesses that don’t need complicated software. It meets all your business needs and charges low price for features like an unlimited number of users, transactions, and capabilities. It is very easy to use the software without any hassle. Works in a smart way to save your time and keep you organized. It automatically updates the data like financial data, transaction histories, customer information etc. Performs many automatic tasks like tracking expenses, setting up recurring bills, sending invoices, payment reminders and much more. It has a mobile app so that you can do accounting on the go. You can sign up for a free trial of 14 days. It offers 24 hours phone support and email support. 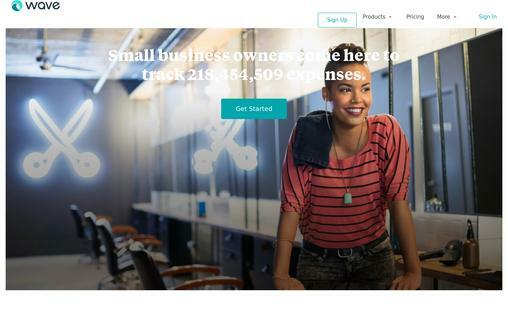 Xero is a cloud-based accounting software tailored to small businesses and freelancers. It’s simple and intuitive design has a number of time-saving features such as automatic bank feeds, invoicing, bill tracking and options for group invoices. You and create and send quotes to users and they can view and accept them online. It offers live bank feeds. Your suppliers can directly send invoices into your Xero account. Offers more than 40 financial reports. It has an inventory management system to manage stocks. You can give permission for access to an unlimited number of users. The pricing plan starts at $9 per month. Offer 24/7/365 email support with very fast response time. The full-version of Xero is available for a free trial of 30 days. Wave is a cloud-based software that offers genuine double entry accounting. It focuses on small businesses with under 10 employees. Also. it works to make the accounting of small business fast and simple. It provides a decent set of features and an easy-to-use format at free of cost. You can get a quick overview of your account status on the dashboard. You can copy and set up recurring invoices. Also, you can send reminders for a due invoice. It supports full bank reconciliation. You can easily enter bills and record payments. Scan the receipts and upload them or take a photograph or email them to Wave. It imports using the OCR system. It offers 11 reports of your business. You can set and apply multiple tax rates on invoices. It is web hosted so no downloading or installing is required. 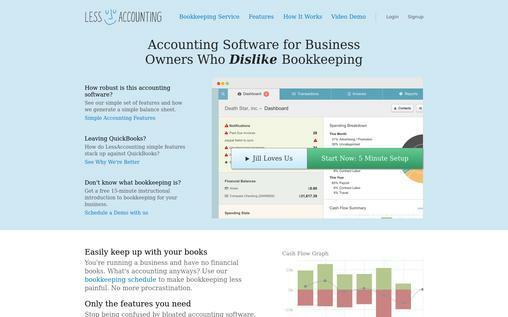 Less Accounting is a cloud-based accounting service that offers all the basic tools like income and expense tracking, reports, invoices and proposals and more than a small business requires. You can track all your business expenses quickly and easily with Less Accounting, and it requires no accounting knowledge. You can enter expenses, mark them paid or due, add notes to them and also upload the picture of the receipt with each expense. Easily create estimates and invoices. And customize your invoices also. You can sync bank accounts, reconcile statements, track income, and expenses, profits and loss, unpaid invoices, etc. Offers a free trial period of 14-days. The price plan starts at $20 per month. AccountEdge Pro is specially designed for small businesses that require complex accounting. It is extremely flexible and powerful accounting software on its own, it does not depend on any other add-ons to increase its usefulness. It is fully-cloud enabled and has all the features that you need such as create and track sales, manage contacts, run payroll, track and create an inventory and much more. 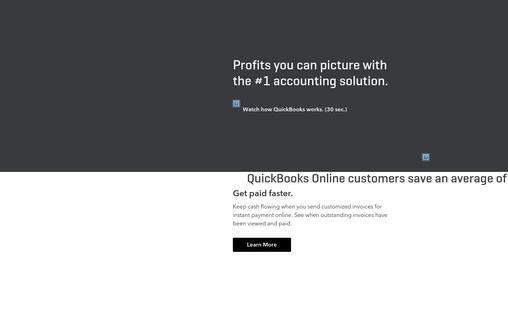 Easily create quotes, a different type of invoices and orders. You can reconcile accounts using your bank statement. It allows you to directly pay your employees or sign up for payroll. With this software, you can create and track your purchase orders and bills. You can sell your items online with Shopify. You can sync the inventory and download the orders directly. It has a complex inventory management and tracking system. 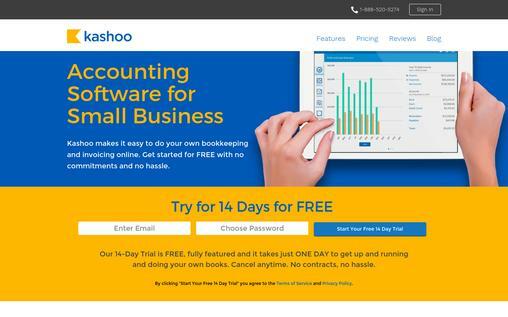 Kashoo is a simple and user-friendly accounting software for small businesses. At an attractive price, it offers all the basic features that freelancers and very small or service-based business require. If you need to do around 90% of your bookkeeping on your iPad then Kashoo is the best option as it has a popular app for iPad. It offers basic invoicing feature such as create invoices and mail them to your clients, set up recurring invoices and accepting partial payment. You can track bills and record payments. It supports multi-currency allowing you to invoice and record your expenses in any currency. Here you can store your customers as well as vendors list. It has an iPad app to use it on-the-go. Offers a 14-day free trial. The pricing plan of Kashoo starts at $12.95 per month. Every business has different requirements when it comes to accounting. You need to find the one that is suitable for your business and take a headache out of accounting. So pick the best match for your business and dive in.